Eight years ago, President Obama electrified the world with the promises to end the wars of his predecessor in Iraq and Afghanistan, close down Guantanamo Bay and end America’s traditional support for autocrats and dictators in the Middle East. 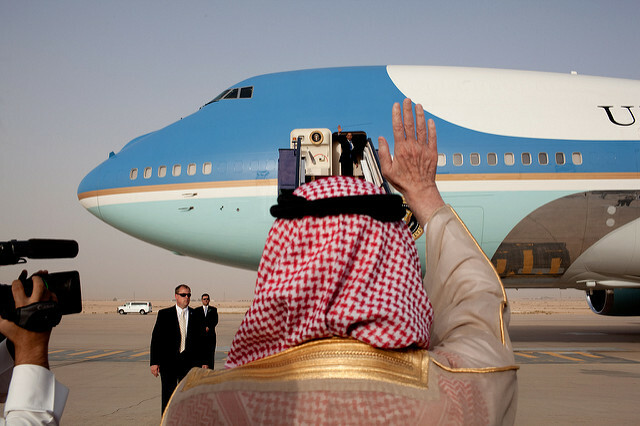 History dealt President Obama a bitter hand in the Middle East, the White House failed to end protracted and bloody wars, and Guantanamo is still open, holding alleged terrorists as a symbol of Obama’s unfulfilled promises. Obama’s greatest diplomatic achievement has been the 2015 Joint Comprehensive Plan of Action (JCPOA) with Iran, a deal that probably averted another costly war in the Middle East. A nuclear armed Iran would have likely sparked an arms race in the region, encouraging other regional powers, notably Saudi Arabia, Turkey and Egypt, to kick-start their own nuclear programs. Nuclear proliferation in the Middle East is concerning for everyone, especially the people of Israel. There are no hotlines between Tehran and Jerusalem as there were between Washington and Moscow during the Cold War. Political miscalculation can break down any deterrence in the region, and the possibility of an intimidated Israel or a trigger-happy Iran firing a preemptive strike would become far more likely – a move that would quickly escalate into an international conflict. Oddly enough, during the run up to JCPOA’s implementation day, Israeli Prime Minister Benjamin Netanyahu claimed that the Iran deal was a “historic mistake.” Today, Netanyahu is now claiming credit for the deal, opening a cabinet meeting with the lines: ““If it weren’t for our efforts leading the way in enforcing the sanctions on Iran’s nuclear program, Iran would have had a nuclear weapon long ago.” Congress, with its Republican majority, was and still is overwhelmingly opposed to Obama’s Iran deal and has announced plans to extend existing economic sanctions on Ayatollah Khamenei’s regime. The Iran nuclear deal will remain a divisive political time bomb in Washington. On May 2nd 2011, two dozen elite U.S Navy SEALs stormed a decrepit mansion in Abbtobad, Pakistan. During the raid, five people were killed. Among the dead was the SEALs’ intended target, Al-Qaeda founder Osama Bin Laden. 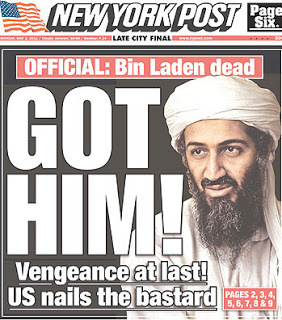 News of the death of the 9/11 mastermind was celebrated across the world, where headlines such as “GOT HIM!” and “Justice has been done” dominated the the news landscape. A decade after the 9/11 attacks, it’s victims had finally been avenged. Bin Laden’s assassination was one of Obama’s crowning foreign policy accomplishments whilst in office as it sparked the downfall of Al-Qaeda, the most dangerous terrorist organisation in the world at the time. However, the operation was conducted without the Pakistani government’s knowledge or approval, a decision that heavily strained relations between Islamabad and Washington. Mimicking the Greek myth of Heracles and the Hydra of Lerna, Obama’s decapitation of Al-Qaeda only spawned another, more powerful threat to the U.S – The Islamic State. Iraq remains another controversial legacy for President Obama. Obama failed to curb the anti-Sunni excess of Iraq’s former, unabashedly sectarian Shiite Prime Minister Nuri Al-Maliki. This inflamed the disenfranchised Sunnis of Iraq, and contributed to the meteoric rise of ISIS in 2014 and its swift capture of the Sunni urban strongholds of Mosul, Fallujah, and Ramadi. The rise of ISIS horrified and destabilized the Arab world and undermined American interests and alliances in the Middle East during a time of revolutionary fermentation. Contrary to Deplorable belief, Obama was not responsible for the power vacuum that resulted from the U.S. military withdrawal in 2011. Towards the end of his term, President Bush (Obama’s predecessor) had already agreed a deal with the Iraqi government to pull out troops by the end of 2011. This just goes to show how Bush’s legacy in Iraq lives on 13 years since the U.S. invasion of the former Ba’athist heartland. However, the Obama administration did encourage large scale radicalization of populations in Middle Eastern countries by waging devastating droning campaigns. The Pentagon and the CIA orchestrated “drone wars” in Afghanistan, Iraq, Libya, Syria, Yemen and Pakistan. These did more harm than good as majority of the casualties were civilians. The notion that U.S drone attacks were carried out when there was “near-certainty of no collateral damage” is easily disprovable propaganda. High profile attacks on weddings, schools and urban centres did nothing but further encourage sub-continental hatred towards the United States. As Obama leaves office, the battle of Mosul rages on, with 5,000 US military personnel still in an Iraq polarized by sectarian hatred and foreign meddling. Obama failed to punish Syrian President Bashar al-Assad for violating his “red line” in regards to the use of chemical weapons on the Syrian civilian population, and allowed Russian direct military intervention that ensured the survival of a brutal Alawite dynastic dictatorship aligned with Iran and Hezbollah. Obama is not responsible for the 400,000 deaths in Syria, but his diplomatic mediation in the conflict had been too little, too late to prevent them. The American public’s reluctance to allow another military adventure in the Middle East after its horrific experiences in Iraq made Obama’s “red line” policy suspect in the first place. To paraquote the 18th Century French diplomat Charles Talleyrand, Obama’s Syrian policy was worse than a tragedy; it was a blunder. 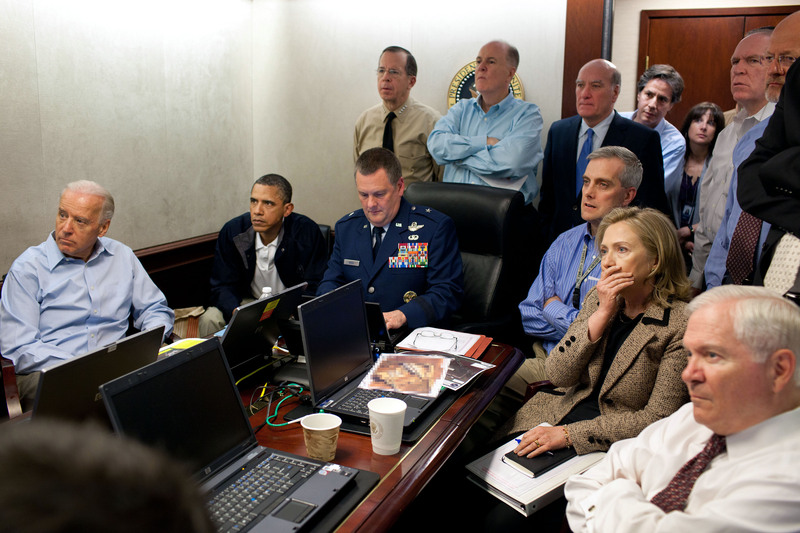 President Barack Obama and other senior officials receive an update on the mission against Osama bin Laden in the Situation Room of the White House, May 1, 2011. During the Obama administration, Libya has now, according to many experts, become “the Somalia on the Mediterranean.” While President Obama authorized air support for British and French planes that bombed Libya in 2011, he failed to prevent the collapse of the Libyan state after the death of Colonel Qaddafi. President Obama admitted that he felt the Libyan intervention was his “worst mistake” during his presidency. The Libyan intervention was the U.S’s third attempt in a decade at enforcing a regime change in a foreign country. In 2001 and 2003, President George W. Bush invaded Afghanistan and Iraq to remove oppressive, autocratic regimes and reinstate democracy and freedom, but lacked a comprehensive plan for the aftermath of those invasions. NATO’s Libya Campaign was aimed at protecting civilians from government forces and providing humanitarian aid, but the plan quickly changed to toppling the Qaddafi regime. Washington was unwilling to have “another Iraq” on its hands and refused to lead post-war stabilization efforts, even as its European allies failed to step up and assume leadership of the campaign, creating a power vacuum that has proved to be dangerous. Western backed rebel forces split off into tribal town-based militias, U.S. ambassador John Stevens was killed in Benghazi, the internationally recognized government of post-Qaddafi Libya is fractured, and ISIS has now begun insurgency operations in the northern region of the country. 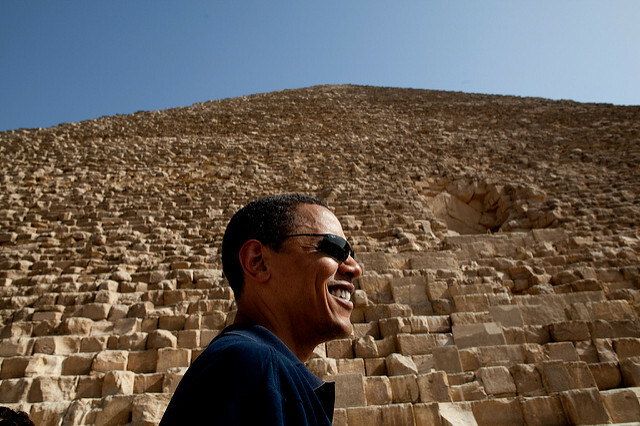 The Obama White House mismanaged relations with Egypt, even though the Pentagon has economic, financial and diplomatic leverages over the Egyptian military that seized power from Muslim Brotherhood backed President Morsi in July 2013. After three decades of the White House treating President Hosni Mubarak as a linchpin of U.S foreign policy in the Middle East, President Obama suddenly reversed this position and endorsed regime change amid nationwide protests during the Arab Spring. On June 18th, 2012, with a long history of pharaohs, caliphs, kings and military dictators, Egypt had chosen Dr. Mohammad Morsi as its first ever democratically elected ruler. Despite initiating conflicts across the region for the sake of democracy, the United States let Dr. Morsi’s government fall to a coup d’état orchestrated by Field Marshall Abdel Fattah el-Sisi – Egypt’s current ruler. Despite taking power under the guise of democracy and continuing the military’s legacy of authoritarian rule, Al-Sisi is viewed as a superhero in the eyes of the Egyptian people, and a wild card by the U.S state department. Obama’s strained relations with Prime Minister Benjamin Netanyahu and reluctance to invest political capital in peacemaking in the Holy Land has proven to be a mistake. Stephen Walt, the acclaimed political scientist and Harvard professor, called President Obama’s legacy in the Middle East “…one of near-total failure.” In regards to the Palestinian-Israeli conflict, Walt described the possibility of a two state solution as “further away as ever.” In 2011, Obama tried to roll the geopolitical dice once more by attempting to mediate Palestinian-Israeli peace talks, but failed spectacularly. The Obama administration’s call for Israel to return to pre-1967 borders was immediately rejected by Israeli President Benjamin Netanyahu and labelled as blasphemy by the Republican Party. Following Netanyahu’s rejection, Palestinian officials labelled continued talks as pointless. The Beit Aghion’s rebuttal to The White House’s deal was the announcement of another 1,500 settlement houses in East Jerusalem. With tensions rising in Gaza between Hamas and the Israeli Defense Force, the chances of a two state solution are at an all time low. 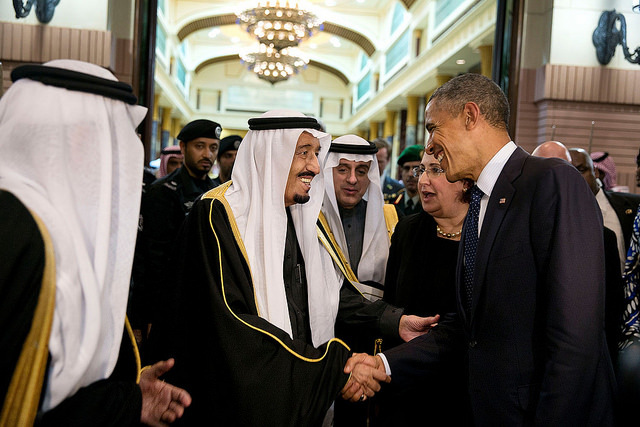 President Obama has left a muddled legacy in the Middle East. While the Iranian nuclear program was stopped and Osama Bin Laden was finally killed, peaceful coexistence between Palestinians and Israelis in the Holy Land is further away than ever. Bashar al-Assad has gone nowhere. Miscalculated military interventions and poorly improvised post-war plans have devolved Afghanistan and Libya into failed states. Democratic integrity in Egypt has been tarnished. The Levant became the heartland of a rogue, self-styled Islamic caliphate bent on spreading terrorism and sectarian genocide. Obama will be remembered as the U.S President that hoped to bring stability back to the Middle East by militarily withdrawing from it. He hoped to introduce a new image of the United States to the war-torn region, one that preferred to mediate conflicts rather than enforcing its will upon it by putting boots on the ground. Barack Obama promised change to the world when he became U.S President eight years ago. Since then, yes, the Middle East has changed, but it’s not change that its people can believe in.